This morning, President Obama is scheduled to announce the EPA’s new C02 standards for existing power plants. Last week I attended (via telephone) a press conference the US Chamber of Commerce held announcing its new report regarding the impacts of the new regulations—which are, in essence, cap-and-trade by executive order. That became the launching point for this week’s column: Welcome to the “no pee” section of the swimming pool (attached and pasted-in-below). As the announcement is now just a couple hours away, I hope those of you who post my work can get Welcome to the “no pee” section of the swimming pool posted ASAP—before the announcement. Please pass it on, too! Thanks! America is poised to become the “no pee” section of the global swimming pool and the useless actions will cost us a bundle—raising energy costs, adding new taxes, and crippling the economy. Even some environmentalists agree. Yet, for President Obama, it’s all about legacy. These new rules, reportedly 3000 pages long (300 pages longer than the healthcare bill), are so important, it is believed that the President will make the announcement himself. While the actual EPA plan has not been released at the time of this writing, it is widely believed that it will follow a March 2013 regulatory proposal put forth by the Natural Resources Defense Council (NRDC) which projects 35-40 percent cuts in CO2 emissions over 2012 levels by 2025. Once again, as with endangered species listings and the Keystone pipeline, we see environmental groups driving this administration’s policies. Using the NRDC’s policy framework, on May 28—before the EPA released its new rules—the U.S. Chamber of Commerce’s Institute for 21st Century Energy released a major study done by the highly respected energy analytics firm IHS: Assessing the Impact of Potential New Carbon Regulations in the United States. It concludes that the EPA’s plans to regulate carbon dioxide emissions from power plants will cost America’s economy over $50 billion a year between now and 2030. Lower total disposable income for U.S. households by $586 billion through 2030. It is likely that the Chamber’s report is spot on. If, after the regulations are revealed, they are different, the Chamber says it will rerun the models using the new data. Describing the NRDC-based plan, the NYT states: “President Obama will use his executive authority to cut carbon emissions from the nation’s coal-fired power plants by up to 20 percent.” It continues: “People familiar with the rule say that it will set a national limit on carbon pollution from coal plants, but that it will allow each state to come up with its own plan to cut emissions based on a menu of options that include adding wind and solar power, energy-efficiency technology and creating or joining state cap-and-trade programs. Cap-and-trade programs are effectively carbon taxes that place a limit on carbon pollution and create markets for buying and selling government-issued pollution permits.” Note: even the NYT calls cap and trade a carbon tax. The Kos reports: “Obama has said he wants the existing plant rule in place by the time a new president takes the oath of office in January 2017”—though many in Congress, including coal-state Democrats, are asking that the 60-day comment period be extended to 120 and, as the WP points out, lawsuits are likely. Defending the NRDC plan, David Hawkins, director of climate programs, is quoted in Grist: “Power plants don’t operate in a vacuum. The energy they produce is fungible.” The same is true for the emissions. The U.S. can adopt these draconian regulations, but the U.S. doesn’t operate in a vacuum. The emissions are fungible. Should we be “in the game” when the other major developed countries have quit playing? Australia has already walked away from its previous administration’s stringent climate policies due to economic pain and public backlash. Germany is becoming more dependent on coal-fueled electricity. Wood is the number one renewable fuel in Europe. Following what has already taken place in England and much of Europe, on May 31, it was announced that Spain is cutting back on its green energy programs. China and India have repeatedly refused to cripple their growing economies by cutting back on their fossil fuel-based energy usage. 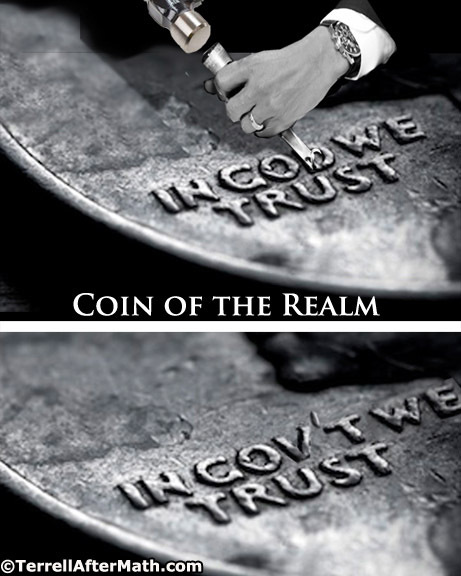 The U.S. may be “in the game” alone. All the regulations the administration may impose will not “nudge” the rest of the world to follow. Just because we declare that we won’t pee in the pool, won’t stop the others. And, just like the water in the pool, CO2 emissions are fungible. According to the Department of Air Force documents, the flights to, from, and around Ireland for the June 17-19, 2013 trip totaled 33.6 hours at $228,288 an hour, which comes to a flight expense alone of $7,670,476.80. The records came in response to a Judicial Watch Freedom of Information lawsuit filed on January 13, 2014. Marita pulls truth from Obama’s nonsense. Link to: Obama’s SOTU: Where are the opportunities? Last night we saw Denver’s disappointing performance. Last week President Obama had much the same experience. Even his fans have been critical. In my column this week, Obama’s SOTU: Where are the opportunities? (attached and pasted-in-below), I dissect the SOTU looking at the energy implications and add in relevant data and observations. As I am fond of doing, I used the SOTU to connect some dots and introduce some information of which most people are unaware. I think it is a good piece—though it’s response on Townhall has been dismal. For those of you who post my work, I hope it does better for you. Thanks for posting, passing on and/or personally enjoying Obama’s SOTU: Where are the opportunities? Energy Makes America Great, Inc.
On one hand, President Obama extoled efforts to increase fuel efficiency to “help America wean itself off foreign oil.” He touted the new reality of “more oil produced at home than we buy from the rest of the world, the first time that’s happened in nearly twenty years.” On the other hand, he promised to use his “authority to protect more of our pristine federal lands for future generations”—which is code for more national monuments and endangered species designations that will lock up federal lands from productive use. The “Energy Cost Impacts on American Families, 2001-2013” report found: “Lower-income families are more vulnerable to energy costs than higher-income families because energy represents a larger portion of their household budgets, reducing the amount of income that can be spent on food, housing, health care, and other necessities. Nearly one-third of U.S. households had gross annual incomes less than $30,000 in 2011. Energy costs accounted for an average of 27% of their family budgets, before taking into account any energy assistance.” The report shows the 27% is an 11% increase over the 2001 energy cost impact. For households with an after-tax income higher than $50,000, the 2001 percentage was 5 and the 2013: 9—a 4% increase. For low- and middle-income families, energy costs are now consuming a portion of after-tax household income comparable to that traditionally spent on major categories such as housing, food, and health care—with black, Hispanic and senior households being hit especially hard. President Obama took credit for his “‘all of the above’ energy strategy” which, he claims has “moved America closer to energy independence than we have been in decades.” And, regarding natural gas, he says that he’ll “cut red tape to help states get those factories built and put folks to work.” POTUS proclaimed: “I’ll act on my own to slash bureaucracy and streamline the permitting process for key projects, so we can get more construction workers on the job as fast as possible.” The Department of Energy has dozens of permits for liquefied natural gas (LNG) export facilities languishing on some bureaucrat’s desk. One of the few approved terminals: Cheniere Energy’s Sabine Pass LNG Terminal Project in Cameron Parish Louisiana, created more than 2000 jobs in 2013 and looks to create another 2000 jobs in 2014. President Obama, please act on your own here. Cut the red tape and slash the bureaucracy. Let’s get those permits issued. As if an executive decree could make it so, he announced: “the debate is settled. Climate change is a fact.” True, climate change is a fact—the climate changes, always has, always will. But the debate as to what causes it or what should be done about it is far from “settled.” “We have to act with more urgency because a changing climate is already harming western communities struggling with drought and coastal cities dealing with floods,” he announced. However, droughts and floods have been going on throughout history when CO2 emissions (which he calls “carbon pollution”) were much lower than today. His solution? “The shift to a cleaner economy,” which gobbles up taxpayer dollars in crony corruption (more than 30 such projects have gone bust since the 2009 stimulus bill released nearly $100 billion for “clean energy”). A story in the January 25, 2013, Economist titled “European climate policy: worse than useless” starts: “Since climate change was identified as a serious threat to the planet, Europe has been in the vanguard of the effort to mitigate it.” Europe has been the global leader in climate change policies that are, according to The Economist: “dysfunctional.” The “worse than useless” piece states: “Had Europe’s policies worked better, other countries might have been more inclined to emulate the leaders in the field.” It points out that Europe’s “largest source of renewable energy” is wood. A companion article in the same issue of The Economist, “Europe’s energy woes,” states: “Europeans are more concerned with the cost of climate-change policies than with their benefits. European industries pay three to four times more for gas, and over twice as much for electricity, as American ones.” Calling the EU “a lone front-runner without followers,” the article points out: “it is hard to sell the idea of higher energy prices, particularly when the rest of the world is doing too little to cut greenhouse gases.” Rather than learning from Europe, like a lemming, President Obama apparently wants to lead America off the same “useless” cliff. President Obama, you are correct when you say, “opportunity is who we are,” but your policies hurt the poor and block job creation. My question for you echoes what you asked early in the SOTU address: “The question for everyone in this chamber, running through every decision we make this year, is whether we are going to help or hinder this progress.” Are you going to help Americans or hinder our opportunities? This question should run through every decision you make in 2014. On one hand, you say you want to help. On the other hand, everything you do hinders. Marita Noon: Frightful Global Climate Change? We first posted this in 2009. Since Congress will not straighten him out, perhaps these two old fashioned detectives can get the job accomplished. PS: I’ll be in Washington DC next week. If you are there and we haven’t met, but should, please let me know. After decades of controlling America’s energy narrative, on January 5, CBS’s 60 Minutes fired a shot that has put the green lobby on the defensive. The next day, two very different media outlets lobbed blows that could represent a new trend; a change of tone in Washington. 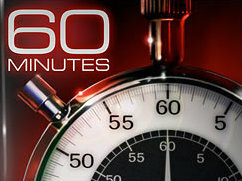 The 60 Minutes piece, featuring correspondent Lesley Stahl, aired, perhaps intentionally, at a time when it may have had the lowest possible viewership, as it aired opposite the NFL playoff game between the Green Bay Packers and the San Francisco 49ers. You may have missed it. But environmental/renewable-energy believers took the hit—and they are pushing back. Perhaps, to Barcott, eight bankrupt companies do not offer enough “evidence” to write green energy’s obit. How much would he need? If Stahl had read the entire list of Obama-backed taxpayer-funded green-energy projects that have gone bust—let alone those that are circling the drain, she would have truly been fatigued. Together with researcher Christine Lakatos, I’ve been following the foibles for the past eighteen months. Our bankrupt list (updated May 2013) includes 25—17 more than Stahl cited (and there have been new failures since then). Ironically, while the believers busily “hit back,” the news tells a different story. Hardly the “overwhelming success” 60 Minutes’ detractors proclaim. The other lobs, from CNBC and Fox News, landed on January 6. Yes, the “annoying greenies” are on the defense—and, as the Green Bay players on that cold January 5 in Wisconsin knew, you can’t win on the defense. Green Energy Stimulus Recipient Laughs at the Amount of Money Wasted By U.S.
A Washington Examiner evaluation of Walmart’s employee healthcare plan rated it superior to and more affordable than Obamacare. Over the years, Walmart has been undermined by unions and liberal activists, who claim that the retail giant is “notorious” for providing “substandard” healthcare plans. The former president of the Illinois State Association of Health Underwriters, Robert Slayton, said that in Chicago, Obamacare offers a restricted list of hospital participation. Walmart, on the other hand, belongs to a national healthcare network that provides almost twice as many participating hospitals. What’s more, Walmart’s network of doctors dwarfs Obamacare’s. “You will notice there are 9,837 doctors [under Obamacare]. But the larger network is 24,904 doctors. Huge, huge difference,” Slayton said. In addition to better care, the Journal of the American Medical Association revealed that unsubsidized Obamacare enrollees will incur monthly premiums up to nine times higher than Walmart premiums. JAMA indicated that the unsubsidized premium for a nonsmoking couple age 60 can cost $1,365 per month, while the Walmart monthly premium for the same couple would be $134 per month. So which would your prefer, a junk policy from Obama or a real one from Walmart? Classic: What happens when you compare the “evil” Walmart healthcare plan with Obamacare? We the People have had enough Mr. President and this is the year we mobilize and restore balance and order to your dysfunctional administration. This is the year we speak up with a loud voice bringing to an end your rein of terror against our individual liberties and freedom. This is the year we bring to an end the liberal socialist movement in these United States of America once and for all. Complete with links to footnotes or you can scroll to the footnotes beginning at the end of the article. You will find some related articles after the footnotes. Thanks to Heritage.org for this information. —Alyene Senger is a Research Associate in the Center for Health Policy Studies at The Heritage Foundation. The White House, Office of the Press Secretary, “Remarks by the President to a Joint Session of Congress on Health Care,” September 9, 2009, http://www.whitehouse.gov/the_press_office/Remarks-by-the-President-to-a-Joint-Session-of-Congress-on-Health-Care/ (accessed December 12, 2013). The White House, Office of the Press Secretary, “Remarks by the President at the Annual Conference of the American Medical Association,” June 15, 2009, http://www.whitehouse.gov/the-press-office/remarks-president-annual-conference-american-medical-association (accessed December 12, 2013). Senate Republican Policy Committee, “More Than 4.7 Million Health Insurance Cancellations in 32 States,” November 19, 2013, http://www.rpc.senate.gov/policy-papers/more-than-47-million-health-insurance_cancellations-in-32-states (accessed December 17, 2013). Congressional Budget Office, “Table 2: CBO’s May 2013 Estimate of the Budgetary Effects of the Insurance Coverage Provisions Contained in the Affordable Care Act,” http://www.cbo.gov/sites/default/files/cbofiles/attachments/44190_EffectsAffordableCareActHealthInsuranceCoverage_2.pdf (accessed December 12, 2013). Federal Register, Vol. 75, No. 116 (June 17, 2010), p. 34553, http://www.gpo.gov/fdsys/pkg/FR-2010-06-17/pdf/2010-14488.pdf (accessed December 12, 2013). Jen Christensen, “Obamacare: Fewer Options for Many,” October 29, 2013, CNN, http://www.cnn.com/2013/10/29/health/obamacare-doctors-limited/ (accessed December 17, 2013). Melinda Beck, “UnitedHealth Culls Doctors from Medicare Advantage Plans,” The Wall Street Journal, November 16, 2013, http://online.wsj.com/news/articles/SB10001424052702303559504579200190614501838 (accessed December 17, 2013). Senator Barack Obama (D–IL), “Remarks of Senator Barack Obama: Health Care Town Hall,” June 5, 2008, http://votesmart.org/public-statement/346763/remarks-of-senator-barack-obama-health-care-town-hall/?search=$2,500#.UqtV5sRDt8E (accessed December 17, 2013). Drew Gonshorowski, “How Will You Fare in the Obamacare Exchanges?” Heritage Foundation Issue Brief No. 4068, October 16, 2013, http://www.heritage.org/research/reports/2013/10/enrollment-in-obamacare-exchanges-how-will-your-health-insurance-fare. Kaiser Family Foundation, “Employer Health Benefits: 2013 Annual Survey,” p. 24, Exhibit 1.11, http://kaiserfamilyfoundation.files.wordpress.com/2013/08/8465-employer-health-benefits-20131.pdf (accessed December 13, 2013). The White House, Office of the Press Secretary, “News Conference by the President,” April 30, 2013, http://www.whitehouse.gov/the-press-office/2013/04/30/news-conference-president (accessed December 13, 2013). Federal Register, Vol. 75, No. 137 (July 19, 2010), pp. 41737, http://www.gpo.gov/fdsys/pkg/FR-2010-07-19/pdf/2010-17242.pdf (accessed December 13, 2013). See Alyene Senger, “When You Can’t Actually Keep Your Health Care Plan,” The Heritage Foundation, The Foundry, August 22, 2013, http://blog.heritage.org/2013/08/22/when-you-cant-actually-keep-your-health-care-plan/. Senator Barack Obama, “Remarks in Dover, New Hampshire,” September 12, 2008, http://www.presidency.ucsb.edu/ws/?pid=78612 (accessed December 12, 2013). Joint Committee on Taxation, “Estimated Revenue Effects of a Proposal to Repeal Certain Tax Provisions Contained in the ‘Affordable Care Act (“ACA”),’” June 15, 2012, and Congressional Budget Office, “Table 2: CBO’s May 2013 Estimate.” The total amount of tax revenue collected from the individual mandate, employer mandate, and 40 percent excise tax on high-cost health plans comes from the CBO’s May 2013 estimate. For all other taxes, the amount of tax revenue totaled comes from the Joint Committee on Taxation’s June 2012 estimation. For a detailed explanation of the impact of Obamacare’s taxes, see Curtis S. Dubay, “Obamacare and New Taxes: Destroying Jobs and the Economy,” Heritage Foundation WebMemo No. 3100, January 20, 2011, http://www.heritage.org/research/reports/2011/01/obamacare-and-new-taxes-destroying-jobs-and-the-economy. The White House, remarks by the President to a joint session of Congress on health care. U.S. Government Accountability Office, Patient Protection and Affordable Care Act: Effect on Long-Term Federal Budget Outlook Largely Depends on Whether Cost Containment Sustained, GAO–13–281, January 2013, p. 19, http://www.gao.gov/assets/660/651702.pdf (accessed December 12, 2013). The White House, Office of the Press Secretary, “Remarks by the President After Meeting with Senate Democrats,” December 15, 2009, http://www.whitehouse.gov/the-press-office/remarks-president-after-meeting-with-senate-democrats (accessed December 13, 2013). Centers for Medicare and Medicaid Services, “National Health Expenditure Projections 2012–2022,” http://www.cms.gov/Research-Statistics-Data-and-Systems/Statistics-Trends-and-Reports/NationalHealthExpendData/downloads/proj2012.pdf (accessed December 13, 2013). Politifact.com, “Barack Obama Campaign Promise No. 521: Cut the Cost of a Typical Family’s Health Insurance Premium by up to $2,500 a Year,” updated December 1, 2009, http://www.politifact.com/truth-o-meter/promises/promise/521/cut-cost-typical-familys-health-insurance-premium-/ (accessed December 12, 2013). The White House, Office of the Press Secretary, “Remarks by the President on the Affordable Care Act and the Government Shutdown,” October 1, 2013, http://www.whitehouse.gov/the-press-office/2013/10/01/remarks-president-affordable-care-act-and-government-shutdown (accessed December 13, 2013). Edmund F. Haislmaier, “Health Insurers’ Decisions on Exchange Participation: Obamacare’s Leading Indicators,” Heritage Foundation Backgrounder No. 2852, November 7, 2013, http://www.heritage.org/research/reports/2013/11/health-insurers-decisions-on-exchange-participation-obamacares-leading-indicators. Alyene Senger, “Lack of Competition in Obamacare’s Exchanges: Over Half of U.S. Has Two or Fewer Carriers,” Heritage Foundation Issue Brief No. 4082, November 8, 2013, http://www.heritage.org/research/reports/2013/11/obamacare-insurance-exchanges-and-the-lack-of-competition.